Now writing my hands on, definitive (for me) review of the Olympus OMD EM-5.2 camera. It's a well mannered and mature product. It's photography in 2015. My Review of the Olympus EM-5.2 cameras. 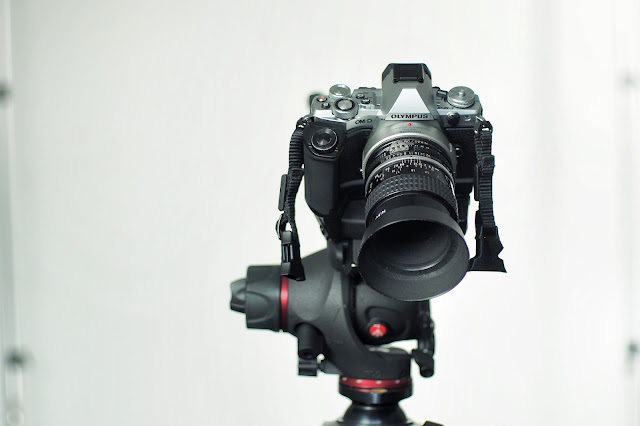 Chrome EM5.2 sitting on the Manfrotto Hybrid Fluid Head. A bit of history. The first Olympus product I owned was a used, black Olympus Pen FT, half frame film camera. I still have it along with four other copies, one black and three chrome, that I collected over the years; usually for less than $100 per body. I also have an almost complete set of the jewel-like half frame lenses that were made specifically for that system. The lenses, with the right adapters, work remarkably well with the current micro four thirds systems and this makes me very happy. It's wonderful when a new product can bring renewed usefulness to an older product line. 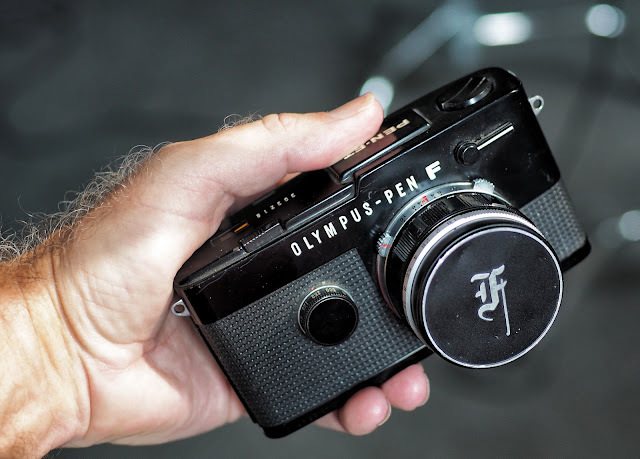 The original Olympus Pen FT. This is the one that started it all for me. that sync'd at all speeds from 1 second to 1/500th of sec. At any rate I bought my first Olympus micro four thirds format camera, an Olympus Pen EP-2, in 2010 specifically with the intention of using with the older Pen FT lenses. That experience started my off again, on again relationship with the Olympus mirror-free system.